Beautiful, bespoke, fresh funeral flower arrangements and wreaths created and designed by Lynne Floral Art. 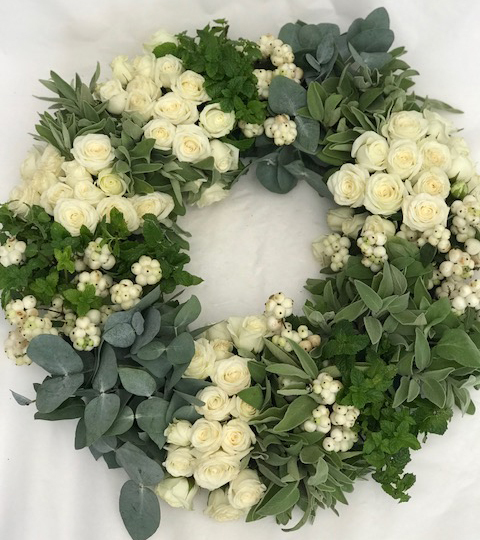 We understand how much of a difficult time this can be, our service is tailored to your exact requirements with beautiful, fresh flowers arranged exactly as you desire from funeral bouquets, funeral wreaths, a funeral sheaf or a funeral spray, we will produce a beautiful display to express your sympathy, love and respect. Your choice of funeral flowers will depend on the relationship you had or influenced by a colour theme or a specific variety of flower as requested by the family, we would always suggest checking with the family or those undertaking the preliminary funeral arrangements. 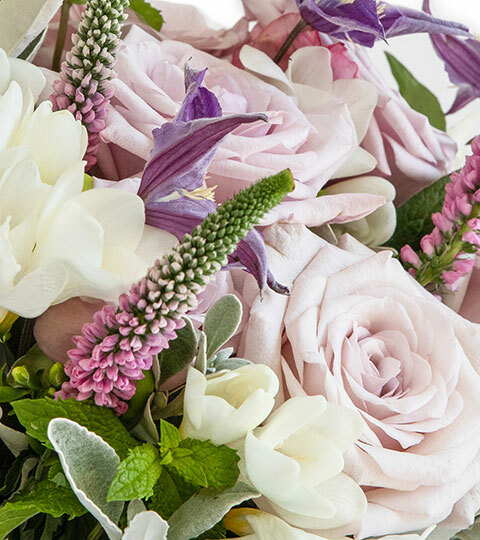 Popular choices for funeral flowers are white and cream roses, lilies or a soft pink rose. All our bouquets are freshly picked and mixed with herbs, succulents and foilage. 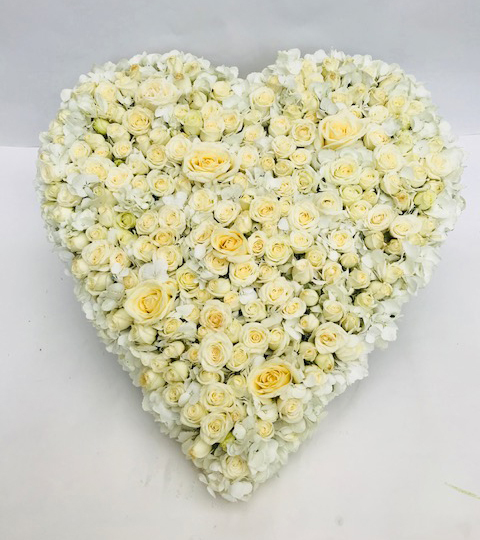 We advise that all funeral flowers being delivered to the Funeral Directors be sent the day before the funeral, they will be delivered with specific details to remove all packaging before being taken to the funeral. All personal tributes will be added the flowers and be taken with the bouquets on the day. Our beautiful flower arrangements are available for nationwide next day delivery.